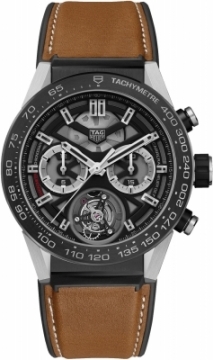 Buy this new Tag Heuer Carrera Calibre HEUER 02T Tourbillon Chronograph 45mm car5a8y.ft6072 mens watch for the discount price of £11,602.00. UK Retailer. Lugs: titanium with brushed & polished finishes. Crown: Satin finished titanium with rubber grip. 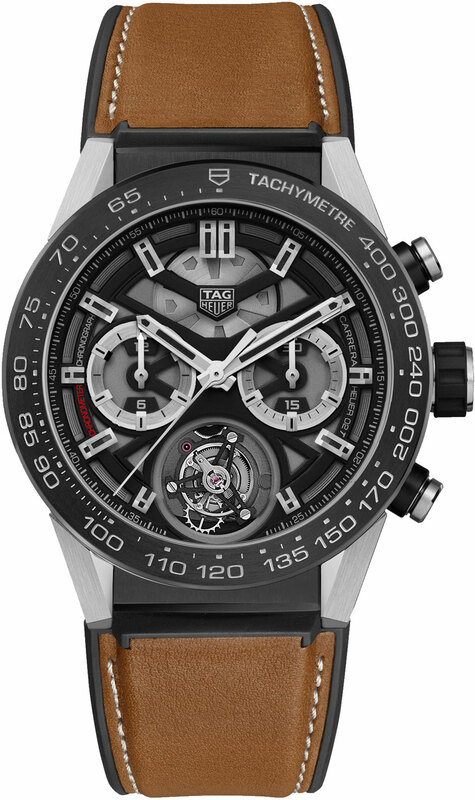 Chrono pushers: Satin finished titanium with black titanium carbide coated bases. Fine printed minute/seconds & fractions-of-a-second track on the black dial flange.